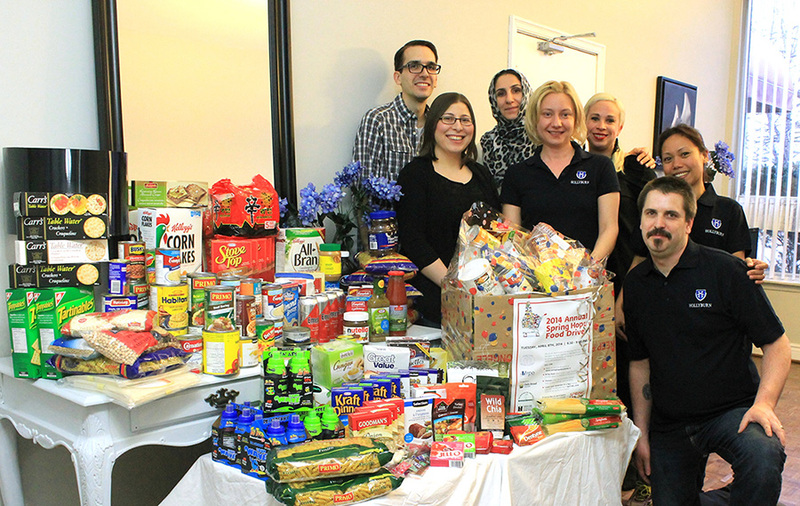 Into its third year now, Hollyburn is proud to once again participate in the most significant food drive to target multi-family households and housing providers in Vancouver, Toronto and in Ottawa. Why now? Because spring is the time of year when food bank donations are often critically low – that lull between the generous Christmas season and summertime when donations are typically more plentiful. 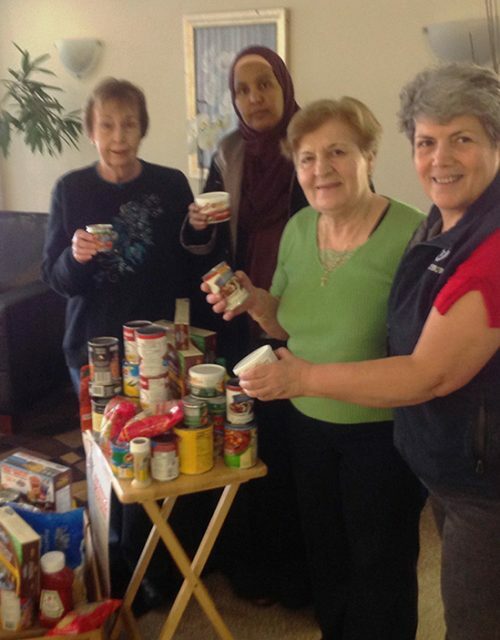 Last year, Hollyburn residents and staff outdid themselves, charitably opening their cupboards to donate thousands of pounds of canned goods and non-perishable food items for the Spring Hope Food Drive. Our devoted resident managers joined a team of volunteers from LandlordBC in Vancouver and FRPO in Toronto, canvassing each apartment suite door-to-door, kindly asking for something to spare for those in need in our community. Hollyburn residents are an extremely passionate, dedicated and engaged community; this was evident by the overwhelming amount of support over the past two years. 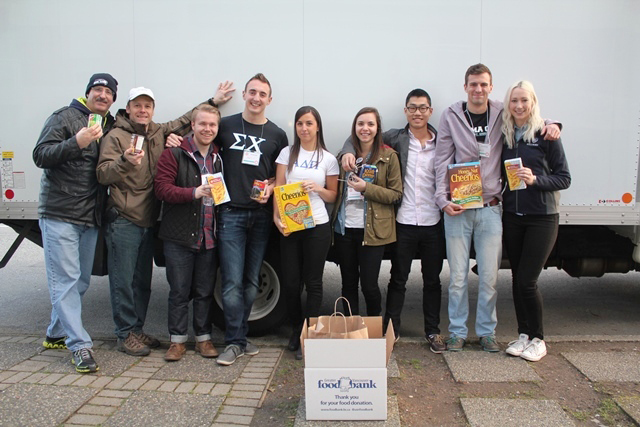 In Vancouver alone, Hollyburn contributed over half of total donations received in 2014! 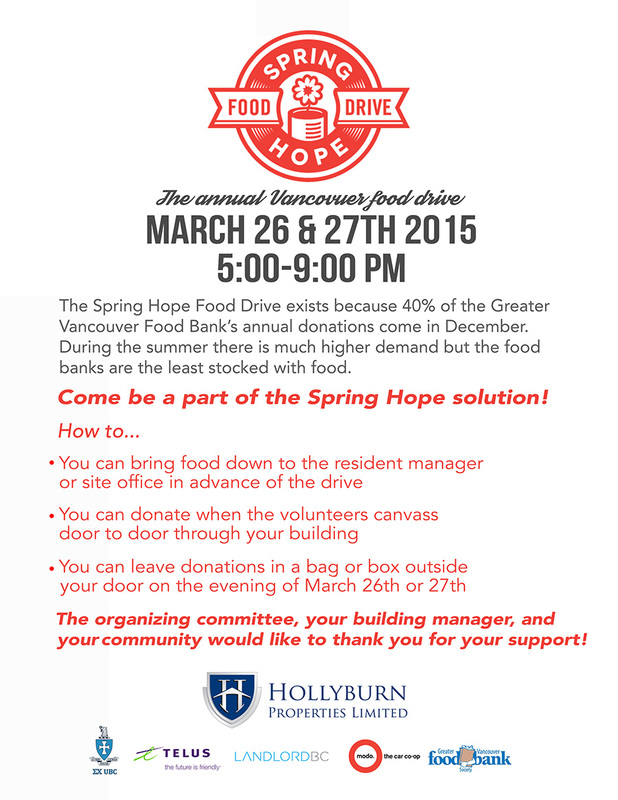 In the words of the Spring Hope organizers, the food drive “Could not be successful without the huge support from our Corporate Partners.” Please consider giving what you can. Once again, let’s help our fellow Canadians and show them what we’re made of!